Malnutrition, extreme poverty, soaring illiteracy, lack of health and education services, and susceptibility to drought and food insecurity are challenges facing the civilian population of a marginalized area of Sudan. The first region which comes to mind is, of course, Darfur, the site of Khartoum’s devastating campaign of displacement and genocide and the focus of much international attention over the past decade. However, these conditions are commonplace throughout much of Sudan’s restive, yet often ignored, eastern region. The three states in the East—Red Sea, Kassala, and Gedarif—have low humanitarian indicators despite the presence of many UN agencies. Some of these indicators, like access to clean drinking water and sanitation, are currently lower in the East than they are in Darfur. Acute malnutrition rates and infant and maternal mortality rates are on par with other equally marginalized, if more publicized, areas of Sudan. Many members of the Beja and Rashaida ethnic groups feel Khartoum has not met its development and infrastructure promises, failing to provide critical services and facilities five years after the government pledged to bring improvements to the eastern states as part of the 2006 peace agreement to end an armed rebellion. An anti-government youth group, the Grifina Movement, reported that the Sudanese authorities broke up the student protests with extreme violence, using live ammunition and tear gas as well as running down eight students with a security car. 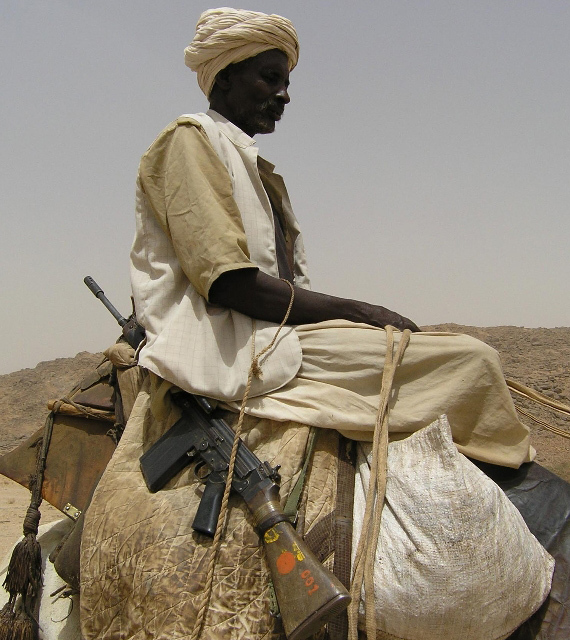 There are recent reports that Beja fighters are regrouping in the Hamid mountains just across the Eritrean border. A UN source predicts “that conflict on the scale now taking place in South Kordofan and Blue Nile could erupt in Kassala state within a few months.” Both the Beja and Rashaida communities are heavily armed and were never completely disarmed after the 2006 peace deal, a fact which adds to the region’s volatility. With the unresolved crisis in Darfur, the stalemate in Abyei, two full-blown wars in South Kordofan and Blue Nile, a looming economic collapse in the heretofore privileged capital city, and reports of sporadic fighting along Sudan’s border with South Sudan, there is little space for the international community, already afflicted with “Sudan fatigue,” to turn its attention to the plight of the East. But the situation in the East is yet another example of the need to address crises in Sudan holistically, rather than as discrete conflicts. While often put to the side, the simmering conflict in the East is derived from the same set of grievances with the central government in Khartoum as the conflicts in Darfur and the Three Areas. The only way to solve the problems of the East, and the crises in the other marginalized communities of Sudan, is to adopt a comprehensive strategy promoting inclusive constitutional reform and democratic transformation. The people of the East have already tried a piecemeal peace process with Khartoum, one which failed to alter center-periphery dynamics in Sudan, just as so many piecemeal peace processes that have gone before it. Maintaining the flawed strategy of individual peace agreements rather than addressing the root causes of the myriad of regional rebellions in Sudan—the exploitative and intransigent government in Khartoum—dooms these discrete agreements to failure. More importantly, this strategy keeps the people of the marginalized areas impoverished, disenfranchised, and desperate. Photo: A Beja man in the rebel-controlled area of eastern Sudan (IRIN – www.irinnews.org).